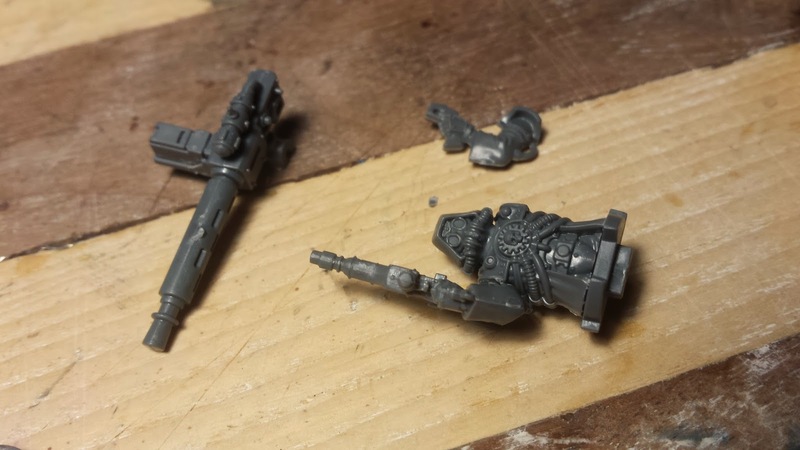 Since the gunner is a Skitarii Ranger, I knew I needed to dig through the parts in the Skitarii kit. The Skitarii kit comes with a ton of options. Heads for both Rangers and Vanguard, tons of weapons and a few extras. One of which was a left arm pointing it's finger. 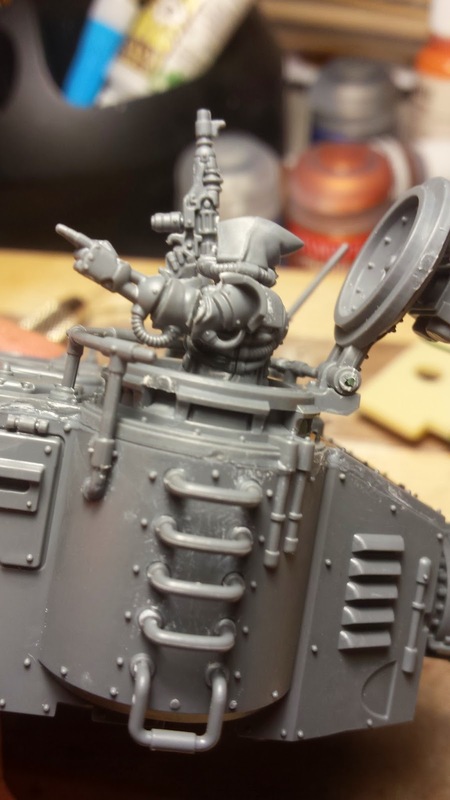 I first noticed it while assembling my Skitarii Vangaurd, but didn't use it for any of the models. But as soon as I saw it, I knew it was going to be used for the Onager. 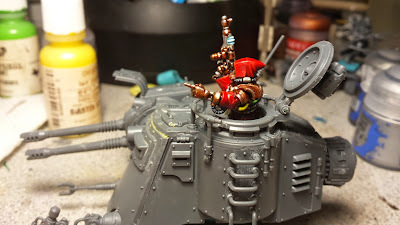 I knew the gunner would need a weapon in his right hand and liked the idea of a pistol. I really like the look of the Radium Pistol so I snagged that, knowing that I wasn't going to use it on either of the Ranger Alphas I am planning to assemble. after I had glued it on that the shoulder guard wasn't sitting correctly and looked wrong. 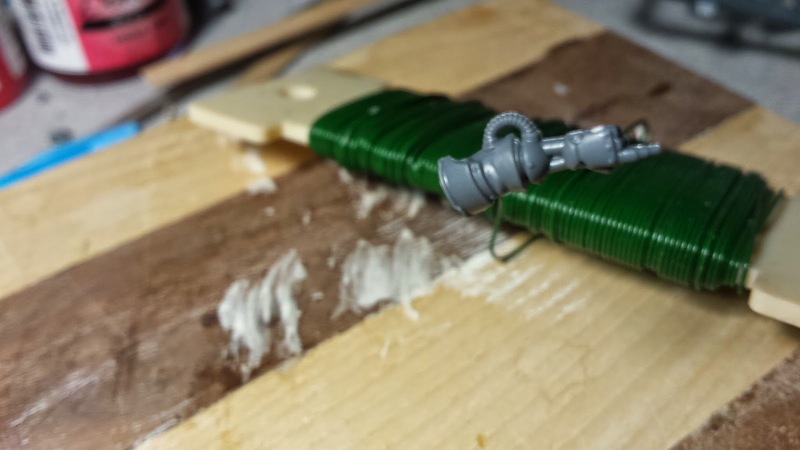 So I broke it back off and grabbed the old left arm from the gunner's original model. match up surfaces. Unfortunately, I am all out of green stuff and could only find Milliput locally. It worked, but I didn't care for it and now it's sitting in a drawer as an emergency back up. Hyped on how he turned out I couldn't leave him be and decided to hammer out my paint scheme for the army. 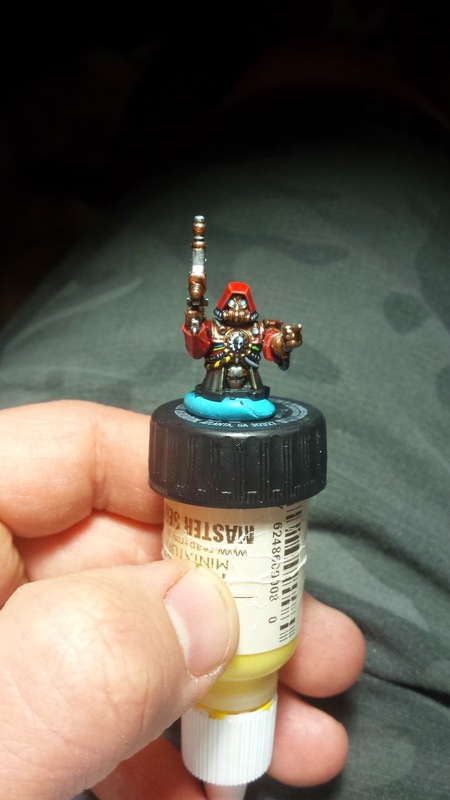 Using the gunner-turned-commander as the test mini. I decided to stick with the Mars color scheme for the markings, clothing and vehicle plating. But I knew I wanted their metal body parts to be brass or copper in appearance. copper paint colors. Using a power fist from and old Space Marine kit I began playing with the paint colors to find the right sequence of color that I needed. This was important, because I'm trying to stay as far away from mixing custom colors as possible. 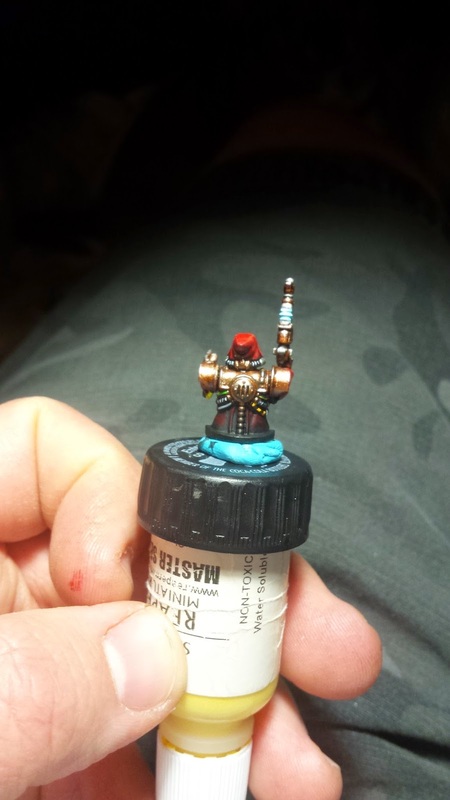 After a bit of work, I found what I was looking for and started painting the brass. Dual Prime Chaos Black with Skull White sprayed from directly above. Base coat brass areas with Vallejo Chocolate Brown. The silver sections were painted with Vallejo Neutral Grey followed by Leadbelcher and Runefang Steel. I might go with a darker grey on the main army though. The grey I used seem to hide in the Leadbelcher and didn't help create shadows like I was planning. sure if I'll just wash and forget them. Still deciding. 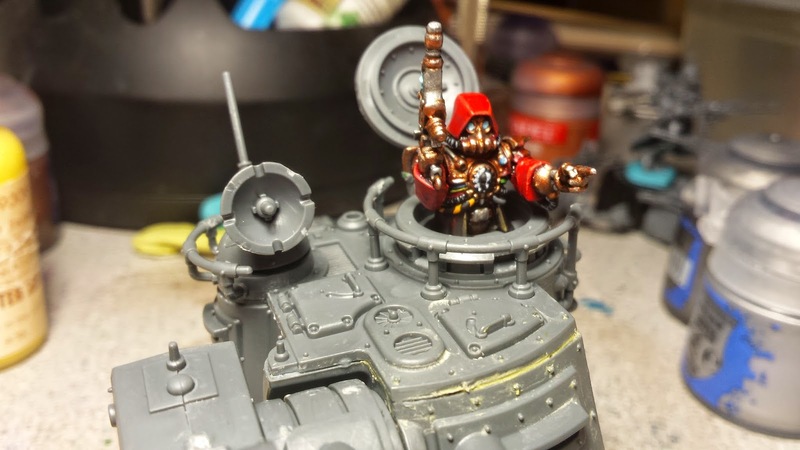 But, that's my brand new Onager Commander for my AdMech: Skitarii. I think he turned out well. Though I did realize that my favorite detail brush is not long for the world. Tonight, I'll get my Rangers assembled and maybe by the end of the week the entire force will be ready to go.